Rev. Morgan Burton, a pioneer in his day recognized the need to establish a funeral home in the Black community, and he established Burton’s Funeral Home in the 1920’s. 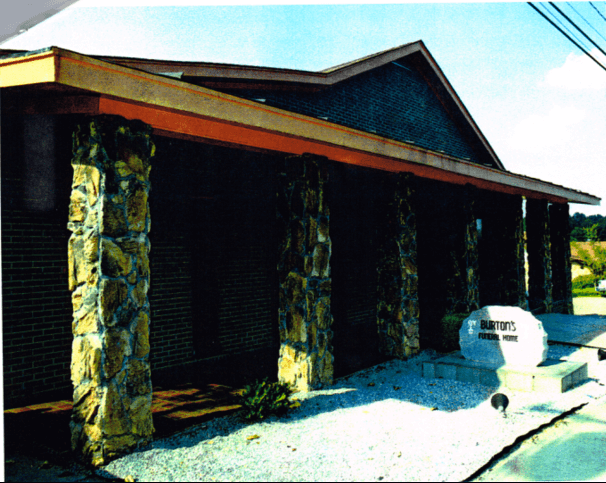 The funeral home moved from Elm Street in Tuskegee to the present location at 607 E. Martin Luther King Highway in Tuskegee in the 1940’s. Rev. Morgan Burton operated the funeral home until his death in 1945. After his death, Osie B. Burton Sr. became the Proprietor. Burton’s Funeral Home is a family owned business with a motto” We vow to carry on the Burton Funeral Home tradition.” The torch and the responsibility to keep the motto passed from Osie Burton, Sr. to Osie Burton, Jr. (son), Epsie Burton (wife) to Yvette Burton (daughter), and the present Proprietor. Mr. Arthur Johnson, manager began a career at Burton’s Funeral Home during his high school years. He is a Licensed Funeral Director and embalmer with many years of experience in helping families make the final arrangements for their love ones. At Burton’s Funeral home, we are committed to compassionate and excellent care in making the memorial and final arrangements for a loved one.